Lily Cole, Vincent Kerschbaum, Suzannah Lipscomb et al. From her first breath, 'Elizabeth I' had enemies. She fought hard for her crown and even harder to keep it, as Catholics, Protestants, foreign powers and scheming nobles sought to topple her. She spent much of her life looking over her shoulder for the next assault on her throne. 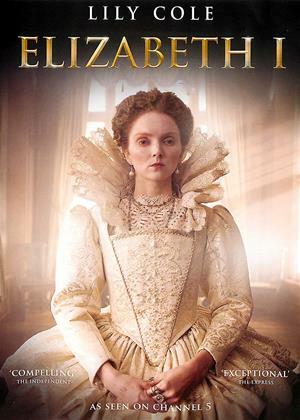 Starring Lily Cole (Snow White and the Huntsman /The Imaginarium of Doctor Parnassus) she plays Elizabeth in the key clashes that shaped one our greatest queens. In 'Episode One' we tell the story of Elizabeth from her turbulent childhood to the beginning of her dramatic reign. Princess Elizabeth's life was a brutal struggle, starting at the age of just three when her mother - Anne Boleyn - was beheaded by her father Henry VIII. In 'Episode Two' we see Elizabeth I crowned and battling to keep her crown and country together through 25 turbulent years. Although Elizabeth I would become one of Britain's most remarkable monarchs, her reign was never secure. From the moment she was anointed queen her enemies at home and abroad began to move against her. The final episode of Elizabeth I begins with the greatest threat to national security of Elizabeth's reign. A year after the execution of Mary Queen of Scots, Elizabeth faced a Spanish invasion fleet far better equipped and larger than the puny English navy. Historians Suzannah Lipscomb and Dan Jones lead us through this heady tale of jealousy, treachery, ambition and tragedy. Three episodes of history, so not really a film. Educational. Why the guy presenter has to have his affected collar up all the time beats me. Worth seeing for the lady presenter, expensive many hours hair do.